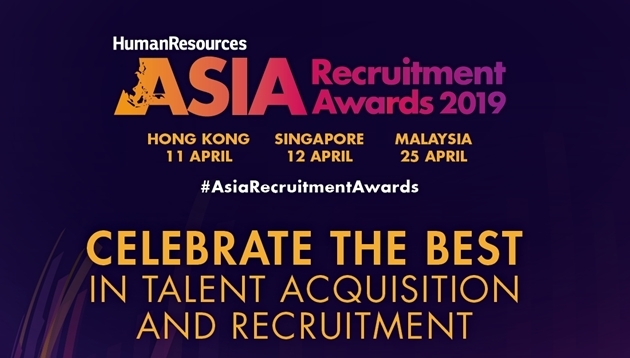 Human Resources returns with Asia Recruitment Awards, to celebrate the very best in recruitment and talent acquisition. The Asia Recruitment Awards, a highly-anticipated event that, recognises innovation and best practices in recruitment campaigns, technology, employer branding and more will take place in Hong Kong on 11 April, Singapore on 12 April and Malaysia on 25 April. The category list for Asia Recruitment Awards 2019 has been refreshed – check out the Singapore, Malaysia and Hong Kong categories. Gold, Silver and Bronze trophies will be awarded across 23 categories open to both in-house recruitment teams and recruitment agencies. Entering these awards will not only position your company as the best amongst competitors and peers, but also a crucial in-house tool to celebrate the wealth of talent and expertise in your HR team, and boost your team’s morale and engagement. Past winners of the Asia Recruitment Awards represent the most reputable companies in Asia: Airbnb, British American Tobacco, Grab, GroupM, Hewlett Packard, HSBC, IHS Global, Jobstreet, ManpowerGroup, Maybank, Motorola Solutions, Merck Sharp & Dohme, OCBC Bank, Randstad, SAP, Vodafone and many more. – Hong Kong: Michelle Chang, michellec@humanresourcesonline.net or Silvia Mok, silviam@humanresourcesonline.net at +852 2861 1882. Close to 60% of employees in Hong Kong say social media is their go-to information source, with Facebook being the most popular. ..